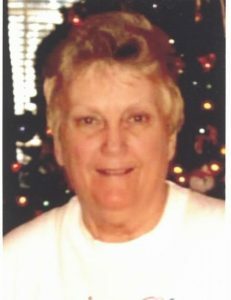 Kathryn Rae Maly, (75) of La Marque passed away on Thursday, March 21, 2019. She was born September 20, 1943 in Galveston County, Texas to Charles H. Klyng, Jr. and Evelyn Klyng. Kathy was a lifetime resident of La Marque, a member of Trinity Lutheran Church of La Marque, the Kiwanis Club of La Marque and a Graduate of La Marque High School, Class of 1961. She was the Secretary for the Athletic Department at the La Marque Independent School District for 35 years and La Marque Booster Club. She is preceded in death by her parents, her brothers; Charles H. Klyng III, Donald L. Klyng and step-brothers; Jerry Tullos and Carl Tullos. Kathy is survived by her husband of 55 years, Bennie; her daughters; Susan Maly and Janet Maly, step-son Bennie Joe Maly, Jr., brother James E. Klyng and wife Barbara, sister-in-law Connie Klyng, two grandchildren; John Maly and Brian Maly, great granddaughter Miranda Maly and numerous nieces, nephews and other relatives. A visitation will be on Sunday, March 24, 2019 from 5:00pm-8:00pm at the Crowder Funeral Home in La Marque. Funeral Service will be at 10:00am on Monday, March 25, 2019 at Trinity Lutheran Church in La Marque with Paul Appel and Rev. C.O. Magee officiating. Interment will follow at Hayes Grace Memorial Park Cemetery in Hitchcock, Texas. Pallbearers will be Kerry Klyng, Donnie Klyng, Bud Kinsey, Daniel Hernandez, Jr., Daniel Hernandez and Sheldon Smith. Memorials may be made to Trinity Lutheran Church in La Marque, 2024 12th Ave La Marque, Texas 77568. Kathy was always positive and very pleasant to be around. She made a positive difference in many lives. Rest in Peace to a wonderful person, Mrs. Maly. I sure enjoyed our time together we had when I was in high school during my time as a football manager in the athletic department. I will always remember you as a happy, special and wonderful person. You will forever be in my heart. You meant so much to me and my family. From the families of the Theiler, O’Meara, Selman and Schultz. Prayers to the entire family. Kathy was one of the kindest, sweetest and friendliest people I ever knew. It was a pleasure to call her a friend. Rest In Peace you fought a long battle. You will be missed but not forgotten. Great lady. Thanks for your years of dedication to the Citizens Sheriff’s Academy Alumni Association. You will be dearly missed.